I think my problem for the longest time was not knowing how to cook. I would try asparagus, broccoli, and other veggies and thought I hated them, but I just didn’t know how to make them taste good! For people in college, like me, or even for people who just don’t know how to cook, I’m here to save you! Today I’ll tell you the easiest way to make asparagus. Asparagus are a wonderful vegetable to include in your diet. They contain folic acid and antioxidants. They were used in Ancient Greece and Rome as a natural remedy to flush out the kidneys. They lower blood pressure (due to diuretic action), stimulate digestion (due to bitterness), purify the blood, removes uric acid, anti-parasitic, promotes fertility, and helps halt kidney disease. Enough reasons to make you want to eat some tonight? Line a cookie sheet with aluminum foil. This will help with the clean up process. 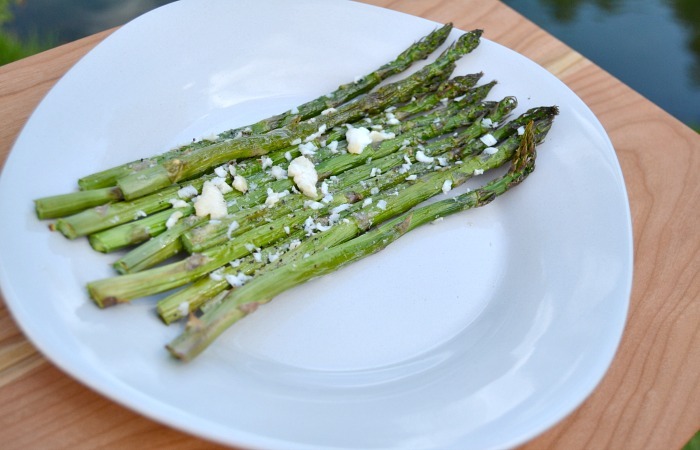 Place asparagus on cookie sheet. Drizzle with olive oil, coat well. Top with salt and pepper, and (optional) goat cheese. Place in oven for 13-15 minutes. Note: Cheese is not technically Paleo. Some people who can tolerate dairy consume it, and goat’s dairy is more tolerable. I think it is wonderful that you are here to help college students to eat better. I know most have a hard time getting everything done and eating well, too. Just an FYI. The best way to trim asparagus is to bend it in a U until it snaps. This way you have no *woody* ends included in your asparagus. Thanks for the comment and the helpful tip, Cathleen! I love wrapping asparagus in bacon and sticking it in the oven. YUM. 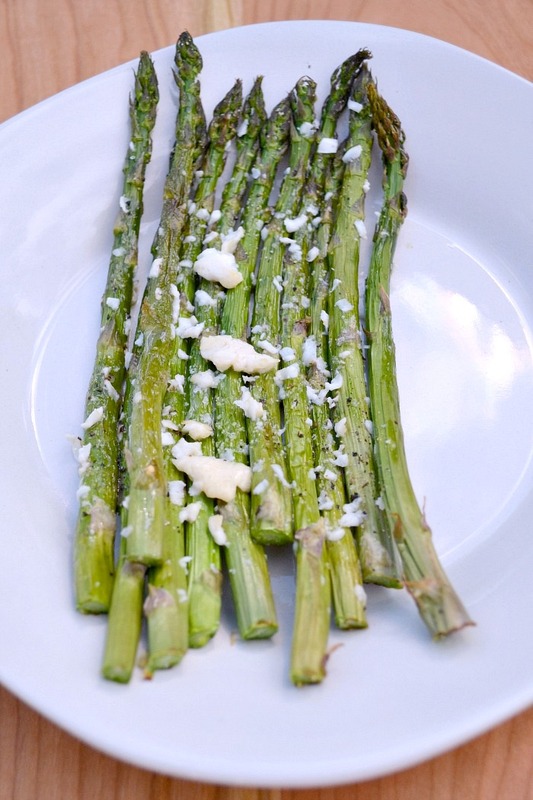 This is now my go to way to cook asparagus! Thank you!